If you have been told that you need to have bone grafting performed, you may be scared and confused about what it is, if it hurts, and what to do next. Before you panic, it helps to fully understand what it is and how Access Dental Care can help you. Bone grafting is considered a surgical dental procedure and it is used to add additional bone to the jaw, when a patient is missing it. Bone can be missing for a variety of reasons and is usually a result of trauma to the area, problems with the joint, or gum disease. Once the bone has been lost, it does not automatically regenerate, thus the reason for bone grafting. Typically, bone grafting is not a procedure that is done on its own. What this means is that it is often done in conjunction with a cosmetic procedure such as dental implants or implant-supported dentures. If you are wondering where exactly the bone comes from that is injected into your jaw, you may be in for surprise. It is almost always YOUR bone. Dr. Song will extract bone from another area in your body and then inject it into your jaw. If you do not have additional bone that can be used, bone from an animal will be used. Once your body has accepted the injected bone, it will begin to regenerate on its own. Most often, the bone is accepted and rarely is it rejected. Why Have Bone Grafting Performed? Bone grafting is beneficial for all patients who are in need of it. As we mentioned briefly above, dental implants cannot be placed when there is not enough bone in your jaw. Typically, bone is lost because of gum disease and does not regenerate. When gum disease is allowed to persist, you will notice that your gum hurt more, your teeth loosen, and you may eventually lose your teeth. Once your teeth have been lost, the bone in that area will disappear unless there is something there to prevent it from being lost. If the bone is lost, you may notice that your face does not sit the same and your bite may be uneven. Bone grafting can restore bone into your jaw that may have been lost. Of course there are. Bone grafting is performed to add more bone into your jaw, so that you can have dental implants placed or to prevent facial shrinkage or loss of any additional teeth. 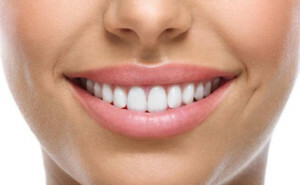 This procedure will help restore your smile. When you hear the words bone grafting, you may instantly think it is going to be a painful procedure. One of the best things about it is that it is not painful and many patients are pleased with the actual procedure. You will receive a local anesthetic when you are in our office and Dr. Song will make sure you are comfortable before the procedure begins. When you come into our office and want to have a bone grafting procedure performed, Dr. Song will look over your teeth and evaluate your oral health prior to beginning. The entire goal of the process is to help your body jump start the regeneration of bone growth in your jaw, so you must be a good candidate or else the procedure won’t work. 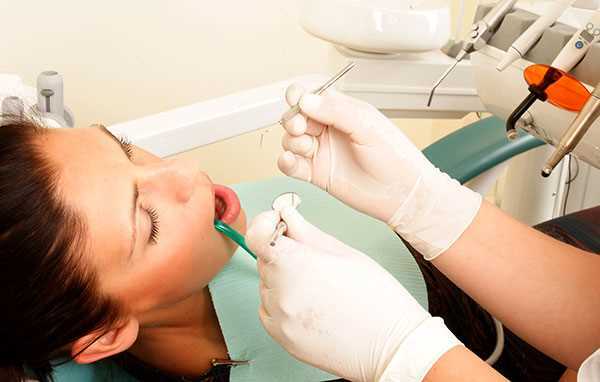 When it is time for the procedure to be performed, you will be given a local anesthetic and Dr. Song will separate your gums from your teeth. Once your gums have been pulled away, Dr. Song will then take a look at your jawbone and roots to determine where bone is missing. Sometimes, a root cleaning needs to be performed and will be done at this stage. If your roots do not need to be cleaned, the procedure will simply continue on as planned. Once holes in the bone have been identified, an injection of either your bone or animal bone will be injected into the pockets to help regenerate bone. After the injection of the bone, a protective liner is placed over top of the material used to graft the bone. Your gums will then be reattached in place. It is important that you follow all aftercare instructions and care for your teeth properly to ensure a successful graft. Dr. Song will instruct you on the aftercare process while you are in our office. Healing takes anywhere from six months to about nine months and once the time period has passed, we will check for successful bone regeneration. Yes. There are risks associated with any procedure; however, they are minimal. Of course, Dr. Song will go over all of the risks with you while you are in our office. The biggest risk you face is that the bone may be rejected by your body. While this is not common, it can happen and you should be prepared in case it does. Basically, if the bone is rejected, no additional bone will be regenerated. Next, your teeth may become more sensitive after the procedure, but they should not be overly sensitive or painful. It is important to note this though as some patients have referred to new sensitivity on their teeth. Lastly, there is a risk of swelling, infection, and bleeding after the procedure. Following the aftercare instructions and taking the prescribed medication will prevent this. If you are interested in learning more about the bone grafting procedure, call Access Dental Care today. Whether you have lost bone due to trauma or gum disease, Dr. Song is here to work with you and help you understand the benefits and risks of the procedure. If you would like to make an appointment with Dr. Song, call Access Dental Care now to begin setting up an appointment to come into our office.